wdnicolson.com - An NRL Blog: 2009/2010 Summer of Cricket: Australia host West Indies & Pakistan. 2009/2010 Summer of Cricket: Australia host West Indies & Pakistan. Australia host West Indies & Pakistan. After a hectic international schedule overseas in 2009, the Australian Cricket Team will host 6 Tests and what seems like a million one day games from November to February. The 2009 Test Tours saw Australia lose the Ashes once again on English soil 2-1 (that's two on the trot 2005 & 2009) but defeat South Africa in South Africa 2-1. The 2009 One Day International schedule yielded another Champions Trophy title (beating New Zealand in the Final and going undefeated in the tournament), a near clean sweep in England 6-1, beat Pakistan 3-2 in the UAE, a 3-2 loss in South Africa, defeated Scotland in a one-off game and finally rallied from 2-1 down in the Best of Seven in India to claim the series 4-2 (with 1 game washed out). As for Twenty20 Cricket... spare me. It's fun to watch but means absolutely nothing on an international status scale. All in all - the sting of losing the Ashes casts a major shadow over what the Australians accomplished away from home shores in 2009 and the significance of losing the little urn once again should be driving the Australians throughout the summer. Sure a Champions Trophy, a Test Series win in South Africa and a upset win in the One Day Series against India is great - but the Ashes and the World Cup are the two events on the calendar Australia strive to win above everything else, and we lost one of them. Nov 26-30 @ Gabba, Brisbane. Game 1: Sun Feb 7 @ MCG, Game 2: Tue Feb 9 @ Adelaide Oval, Game 3: Fri Feb 12 @ SCG, Game 4: Sun Feb 14 @ Gabba, Game 5: Fri Feb 19 @ MCG. Game 1: Sun Feb 21 @ Bellerive Oval, Game 2: Tue Feb 23 @ SCG. Game 1: Fri Jan 22 @ Gabba, Game 2: Sun Jan 24 @ SCG, Game 3: Tue Jan 26 @ Adelaide Oval, Game 4: Fri Jan 29 @ WACA, Game 5: Sun Jan 31 @ WACA. Game 1: Fri Feb 5 @ MCG. All in all that's 19 Games of Cricket and up to 43 days of cricket from November 26 until February 23. I'm not about to say we play too much cricket over summer - because if you're going to play lots of cricket make sure it is on Australian soil and during summer; but the saddest part of this glut of cricket is that both Test Series are only three games and the One Day Series is not a Triangular Tournament. As for the Twenty20s - as I said before - who cares? 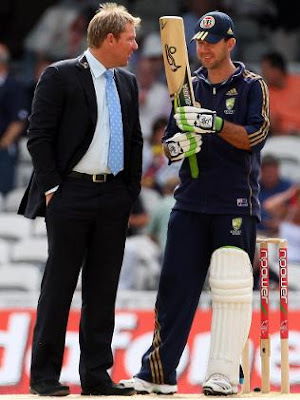 Ricky Ponting (c), Michael Clarke (vc), Simon Katich Shane Watson, Michael Hussey, Marcus North, Phillip Hughes, Brad Haddin (wk), Andrew McDonald, Nathan Hauritz, Jason Krejza, Mitchell Johnson, Peter Siddle, Ben Hilfenhaus, Stuart Clark, Doug Bollinger. 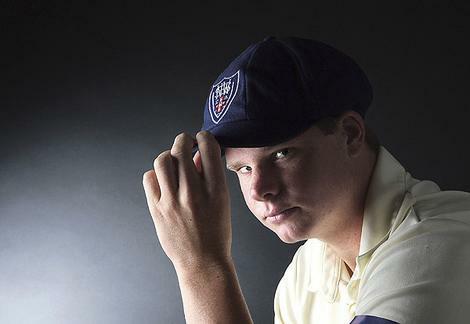 There is one true bolter for a Test Spot if injuries hit hard: Steven Smith from NSW. Smith is a right arm leg-spinner who can bat. Rather than the Cameron White variety of right arm leg spinner who can bat but cannot bowl. Plus he won't be 21 until midway through 2010, so he's certainly one to keep an eye on if given an opportunity this summer. Brett Lee may also come into Test calculations but he re-injured his elbow on the weekend in a Domestic One Day Game and has to be considered a long shot for the any Tests this summer. As for the One Day Squad - look for Steven Smith to definitely get a run at some stage and for Travis Birt to be the bolter as Brad Haddin's backup if Tim Paine isn't fit. All in all the Summer of Cricket for 2009/2010 should be a green and gold one. The West Indies look very light on bowling options entering the Test Series (although they may be a real threat in the One Dayers), while the Pakistani's bring their enigmatic sensibility to both forms of the game - one day they could be world beaters and non-factors the next. 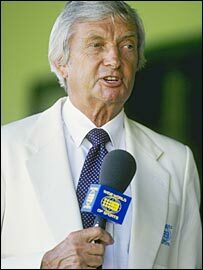 There is some great news however from the broadcast booth with the doyen of cricket - Richie Benaud agreeing to stay on our screens in Australia for another three seasons. Still some Richie is better than none at all! Who are your bolters for the Australian Test & One Day Teams? Will Australia dominate the Summer of Cricket in 2009/2010?